Where does Wapiti River source its elk? All of Wapiti River elk are sourced from elk farms in Alberta and Saskatchewan. Do you sell retail products direct to households? No. Our company is a large volume wholesale supplier who deals direct to distributors only. 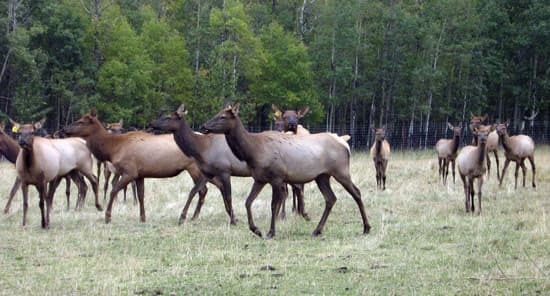 People wanting to try small quantities such as a few steaks and packages of ground are directed towards your Provincial or State Elk Association for a list of farm gate sellers. Is our Elk Meat Inspected? Our elk meat is processed at a Federally inspected and European Union (EU) approved plant located in southern Alberta. Thus, we can export all over the world. For Halal needs, please call to discuss. Each farmed elk processed through AWAPCO can be tracked from birth to death. All elk are required to be tagged with two separate registration tags issued by Alberta Agriculture. This identification and tracking system allows both the producer and government to track every elk from birth to death. 100% of the elk processed by AWAPCO are tested negative for CWD (Chronic Wasting Disease) before any meat enters the food chain. All elk processed are monitored by Canada Food Inspection Agency for health and quality. All elk processed by AWAPCO are naturally raised and free of growth stimulants. All processing of Wapiti River elk meat is done so at a Federally and EU approved slaughter facility. Do you sell Elk Antler Products? AWAPCO will collect green antler for buyers wanting large quantity such as container loads. Same with hard antler, large quantity only.